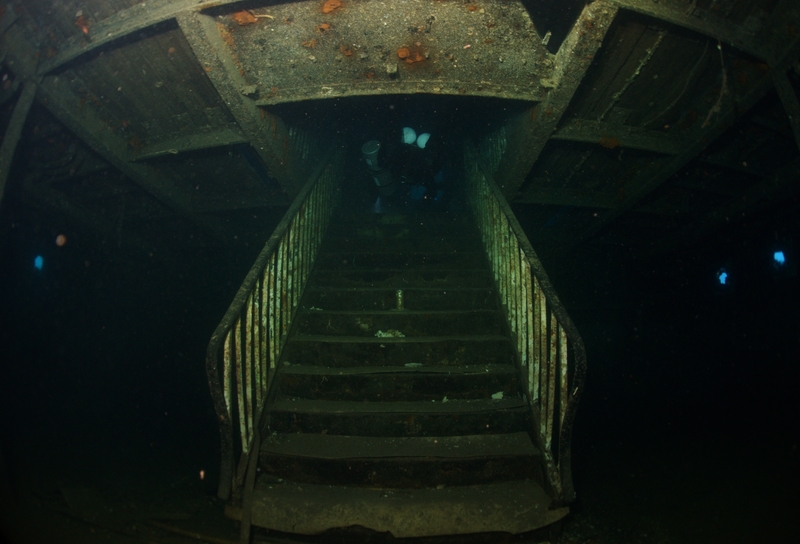 The lower staircase of the MV Karwela. You can see Lee parked at the top of the stairs. He did not hear me banging to turn around and peek down, which would have made a better picture. But given the visible sediments clouding the frame, perhaps next time! This work is licensed under a Creative Commons Attribution-ShareAlike 4.0 International License. Please attribute Kristaps, the photographer, with a link to kristaps.bsd.lv/photo0031.html.